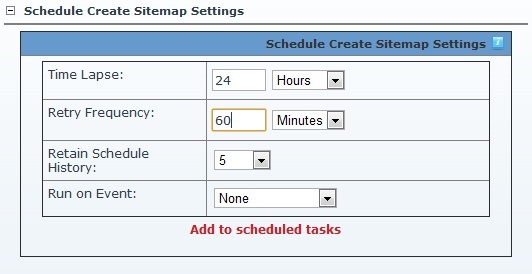 Google Site Map can be created (generated) automatically on schedule and cached in xml file. This is recommended only for portals with really big numbers of pages and/or content from modules. To comply with the specifications the cache file will be created with index and multiple files if the numbers are big enough.